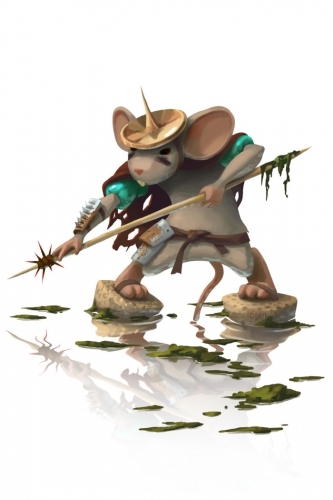 The Swamp Runner Mouse is a breed of mouse found in the Toxic Spill, for hunters of rank Hero and above. Making the best of a bad situation, the Swamp Runner Mouse is a resident of the local area that has quickly adapted to the newly altered environment. Using whatever he can scavange to keep to his daily routine, he's perfectly at home in the untamed swamp! Swamp Runner mice are especially attracted to Rancid Radioactive Blue cheese, to the point that any other kind of cheese will simply not suffice. Hydro type traps such as Oasis Water Node Trap or Phantasmic Oasis Trap are effective against the Swamp Runner Mouse. The Swamp Runner Mouse drops the Toxic Spill Egg during the annual Spring Egg Hunt.